A zero gravity chair or “anti-gravity chair” has a lot of great benefits to your health. The purpose of an anti-gravity chair is to help you feel stress-free and be more energized. If you’re always coming home after a long day of work, perhaps buying a zero gravity chair can be very beneficial to your health. You’ve come to the right place, finding the top zero gravity recliner chairs on the market right now. There are a bunch of different types of zero gravity chairs, and we’re going to go through some of the best ones. These types of chairs are very comfortable and soothing to your back. If you’re looking for a chair that can recline fully, these zero gravity ones are the best. You might even use these as your computer chairs, however, the caveat is that these chairs can’t be rolled, but would be perfect as a gaming chair. Sitting in a zero gravity chair gives the person a feeling of weightlessness, a feature that allows people to enjoy true comfort, hence the name “zero gravity“. To filter through all the noise on the market, we’ve compiled some of the top zero gravity reclining chairs, from outdoor lounge chairs, to indoor zero gravity massage chairs. 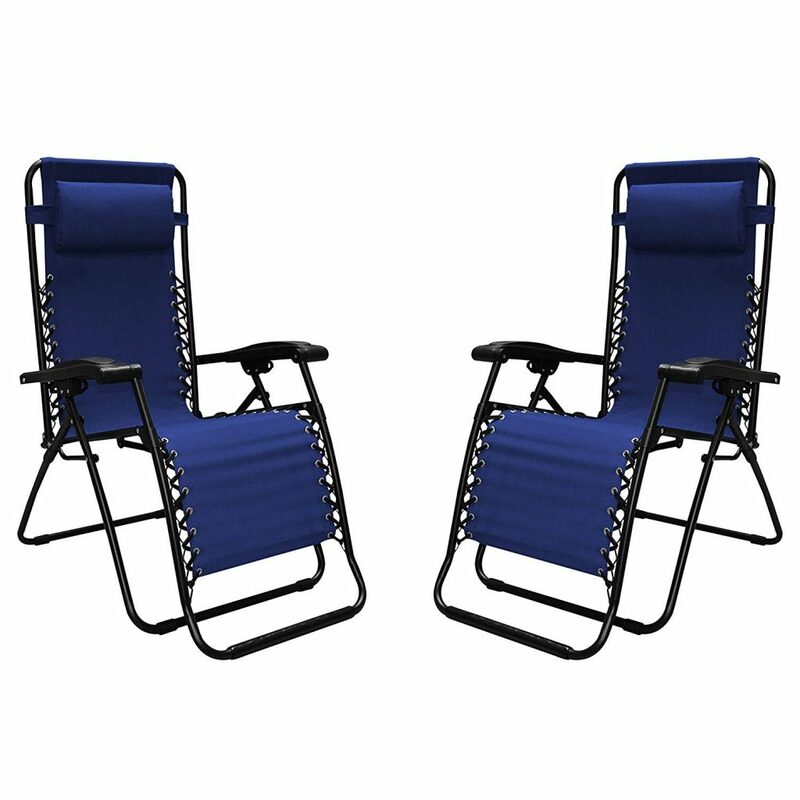 We’ll be starting off with a few zero gravity chairs that are great for the outdoors. These recliners can fold and be carried out to tailgating games, barbecues, and the beach, or perhaps sometimes you’ll want to just leave it inside, whatever the case may be, these are great and affordable chairs. The Four Seasons Zero Gravity Lounge Chair is a very comfortable lounging chair that comes with comfortable cushioning for the entire chair. The build quality of this chair is designed to offer stronger steel framing, as opposed to other gravity chairs. This Four Seasons Zero Gravity Chair has new and improved locking systems that allow you to lock your chair in any of the adjustable positions from 90 degrees up to 166 degrees. 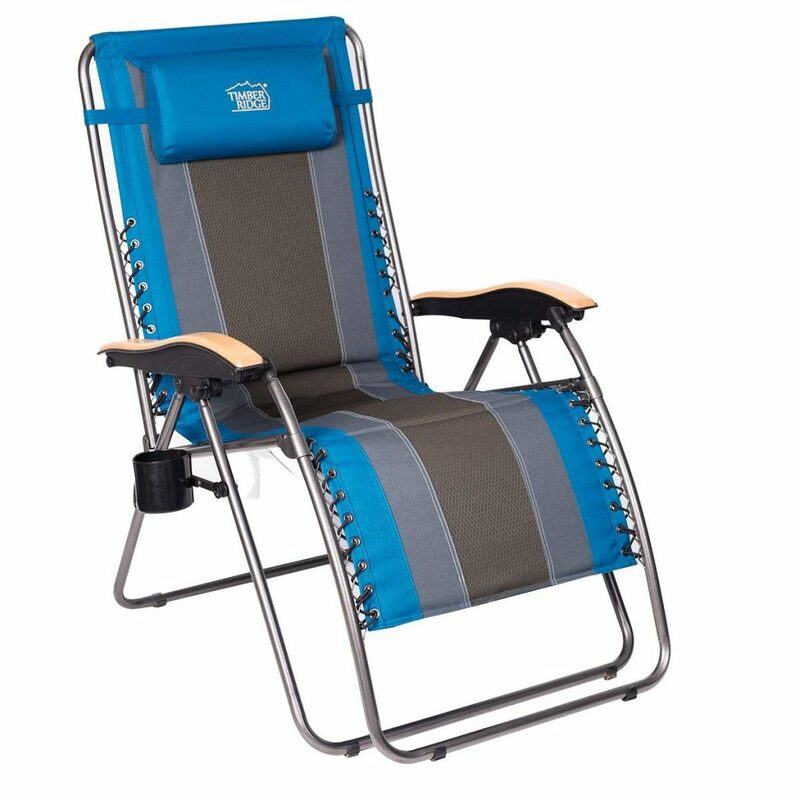 Because of the steel framing, this zero gravity chair with durable beverage tray up and phone holder can support up to 330 lbs. The cushion that comes with it can also be easily removed and washed when needed. This is a perfect outdoor adjustable lounge chair if you’re looking for something that’s durable and weather resistance. 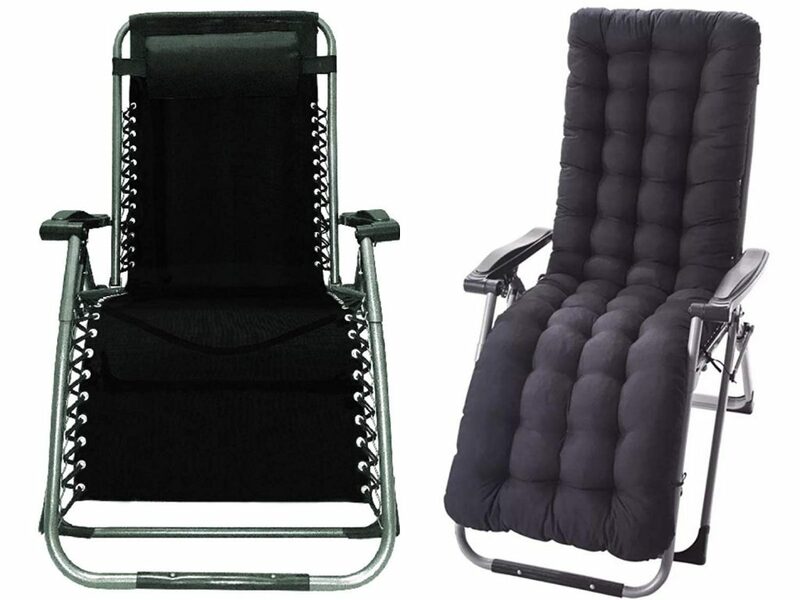 Bottom line: Washable cushioned gravity recliner chair, perfect for outdoor patio with steel frame. Caravan Sports Infinity is a very affordable zero gravity chair. This chair is at its bare minimum and has been one of Amazon’s top-selling gravity chairs on the market. It doesn’t have a lot of features, but it will give you the comfort you’re looking for on a budget. The steel frame is not the strongest, but can still support up to 300 lbs. The fabric is 600g textilene, typical for outdoor patio chairs, suspended with a double bungee system. This material allows the chair to be weatherproof so you can leave it outside on your patio or in the yard. The chair is designed to keep your back cool as the material allows for airflow. If you’re on a tight budget and want a zero gravity chair on the go, The Caravan Sports Infinity is perfect for this option. It’s simple and very lightweight, easily transportable and foldable in the size of 38.6″ x 26.4″ x 6.3″. Bottom line: Simple, lightweight, and easy to transport gravity chair with durable textaline fabric suspended by double bungee system. The Timber Ridge is another comfortable and lightweight recliner that can be taken anywhere, including the outdoors. The material is made of durable polyester fabric and water resistance. This means you can take this on a camping trip without any weather damages. This zero gravity patio lounge recliner has a 0.78-inch padded foam cushion throughout the chair, giving you extra comfort for longer seating. The design is also built to be curved and ergonomic, and also allowing you to adjust at any position until you’re comfortable. Finally, the Timber Ridge comes with a plastic side cup, so you can enjoy your wonder summers sipping on a cold beer. If you need more than just a cup holder, this chair is built where you can have the option to add an upgraded utility tray. Bottom line: Beautifully designed with cushioned seating, adjustable pillow for comfort, and cup holder for cold drinks. If you’re looking for an anti-gravity chair for your back, then these chairs oversized chairs will help with it. Not only will it be good for back pain users, but also give you an entire body massage for complete relaxation. These chairs help blood flow while you’re in an elevated position, helping you feel more relaxed than the more affordable anti-gravity chairs above. If you’re looking for a full bodied zero gravity massage recliner chair, then this one would be your best bet. The Real Relax Electric Chair has eight massage rollers inside the backrest, foot roller functions, 50 airbags placed all over the chair that’ll compress to your body, from your shoulders, arms, body, and legs. With the Real Relax, you can recline effortlessly with remote control. At full recline, you’ll be at the most comfortable and probably won’t want to get out. This would be perfect to take advantage of using an adjustable laptop stand if you feel the need to do work while getting a full massage. The recliner can support individuals that are up to 441 lbs and suggested a max height of 6.1 feet. Finally, this electric shiatsu massage chair also has heaters built inside the seat to promote blood circulation and improve your metabolism. 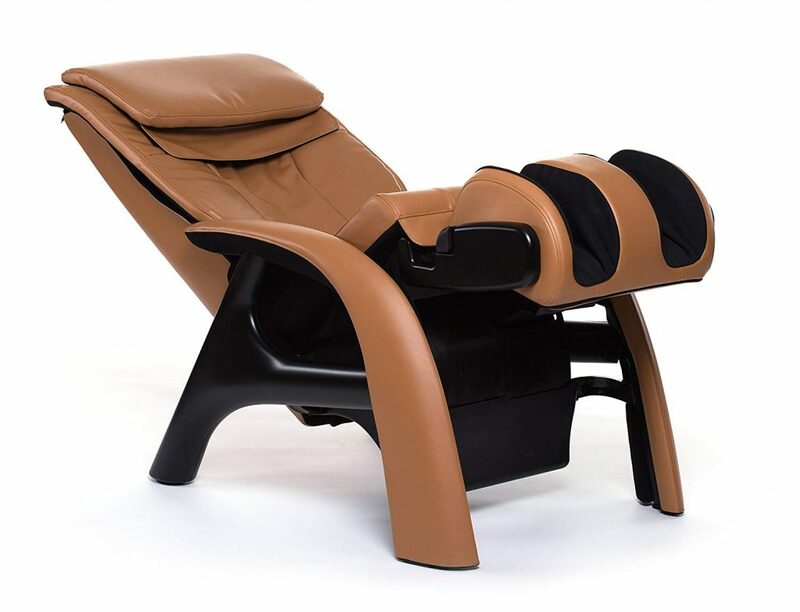 As a leather recliner with foot massager, we think this is a great budget getting you zero gravity experience you need. Bottom line: Budget-friendly full body zero gravity recliner that gives you the relaxation you deserve. If you’re looking for a full body massage chair, that hundreds of people are loving, then the Kahuna LM6800 massage recliner is a perfect addition to your living room. This massage chair has double layer shoulder airbags, with extra foot padding and numerous auto programs that’ll help you relax after a long day at work. 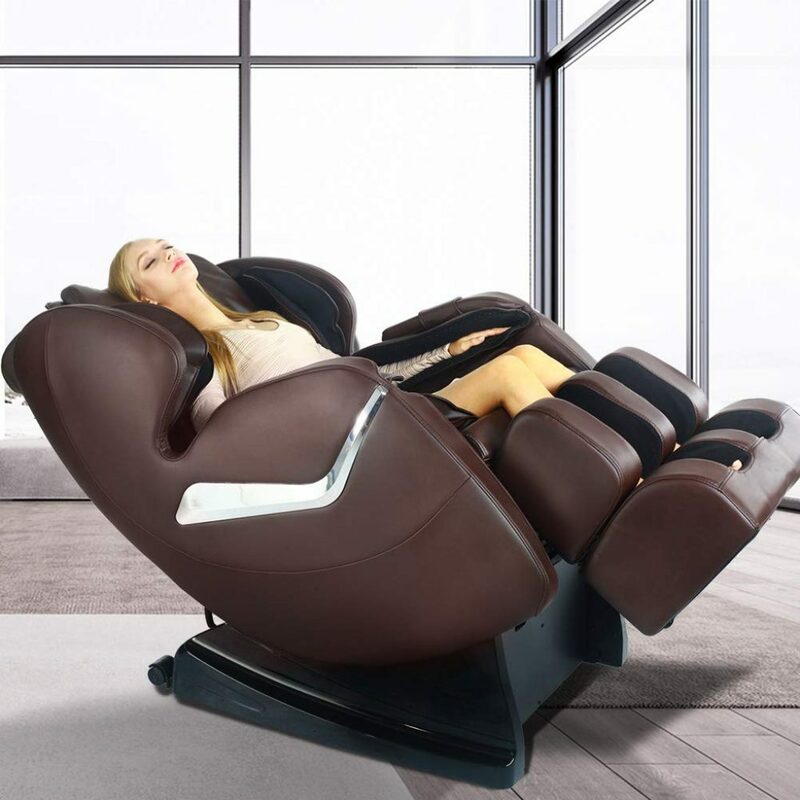 This gravity-free massage reclining chair has a smart body scan technology where it will customize its comfort and fit your body size, giving you the maximum massage comfort. The smart technology enables the chair to have special yoga programs that’ll help you stretch your body, and we know after sitting at a desk all day, your body can be tensed and compressed. You’ll also be surprised at the space saving this chair has to offer. It only requires three inches from the wall, when it transitions into zero gravity positions. Finally, for an added bonus, the foot area can be detached and washed for sanitary purposes. In addition, the Kahuna LM6800 is considered as a medical device, which is FDA approved – meaning, you can qualify for it as an FSA/HSA expense. Bottom line: The ultimate full body, space saving, and gravity-free massage chair, giving you the pain relief you deserve. If you want to get a little fancy, here are the best of the best zero gravity chairs that give you the most comfort. Not only do these chairs serve as a comfort, but they’re also designed beautifully, and well crafted. Cozzia zero gravity chair has a control center that can give you the power to recline with one-touch. This chair is well made and has been one of the top-rated anti-gravity chairs on the market. 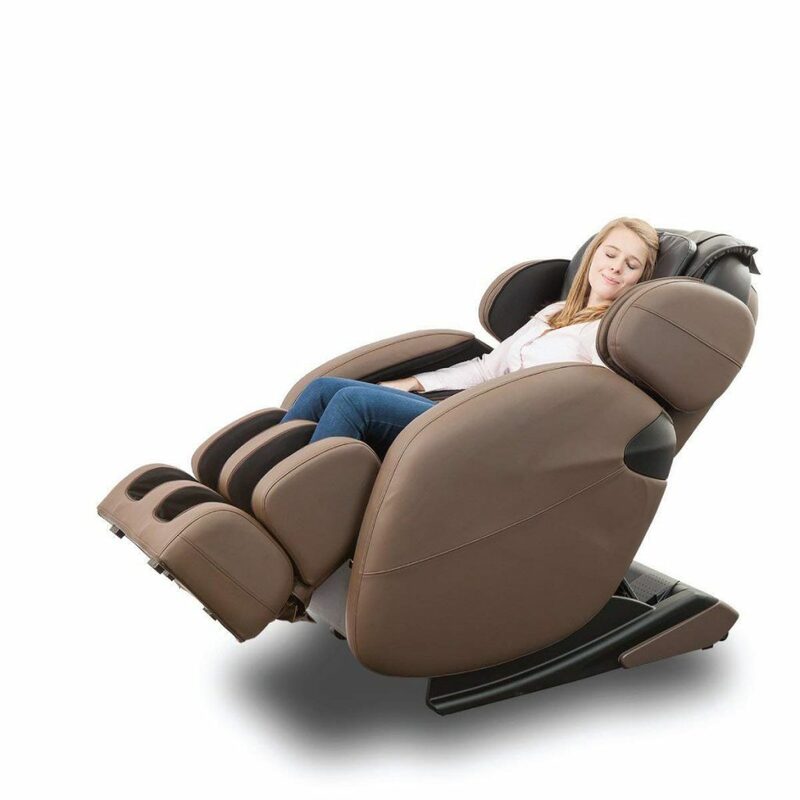 Cozzia has carefully designed the AG6000 to allow your body to reach a high level of relaxation and maximum control. 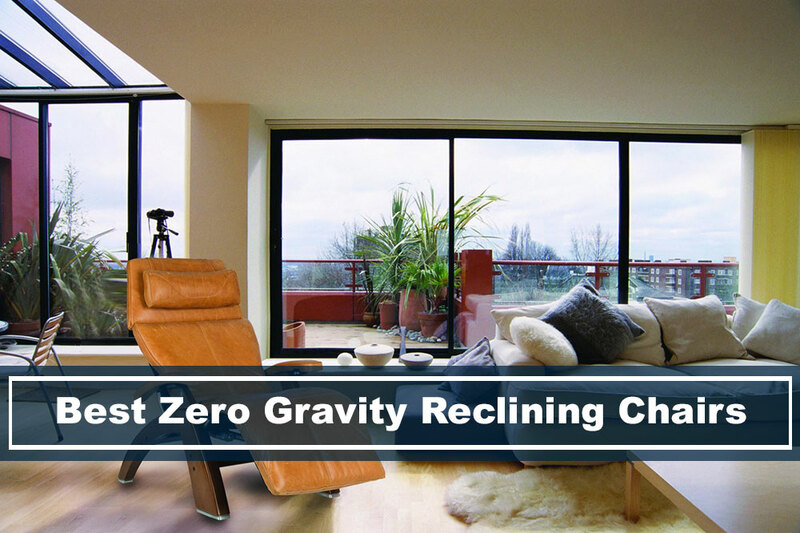 In addition, the zero gravity recliner brings a great sense of design to any room and will be the center of attention. The pillow is detachable and provides the perfect amount of lumbar support. The chair has independent operating power headrest and footrest, giving you the ability to maximize your comfort. Finally, the AG6000 Dual Power Zero Gravity has heat therapy with vibration massage, allowing your body for blood circulation and relaxation. Bottom line: Beautifully crafted and designed to be the most comfortable to give you the most relaxation. Although this doesn’t fall under the full body massage chairs like the ones above, however, this recliner packs a powerful back massage. The Human Touch Volito is perfect if you have really bad knots on your back or shoulders from bad posture. 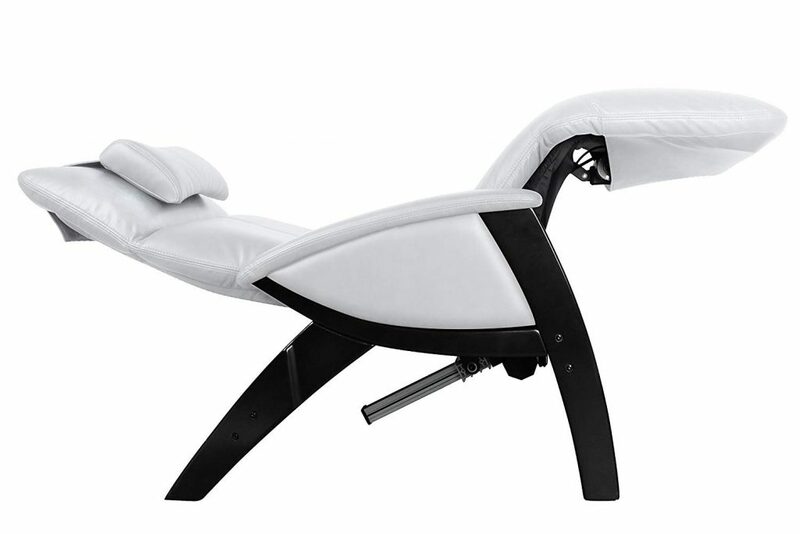 The chair puts you in a stress-free zone, relaxes and rejuvenates the spine by naturally decompressing your vertebrae. In addition, the chair relieves any muscle tension, soreness, and fatigue. By elevating your foot to and/or above your heart, it helps improve the blood flow, which extends you into a deeper relaxation mood. The Volito Instant Revive has three physical therapy auto programming, full back, shoulder, and lower back, each with different massage features for different muscle aches. Finally, this chair also has a foot massage that’ll help your calves and feet relax from a long day of standing. With this added feature, it helps improve the circulation and your blood-oxygen levels. Bottom line: A massage zero gravity chair built with a designer’s style giving a powerful massage to help soothe those that require higher intensity. Understanding what anti-gravity chairs are? Gravity chair, a.k.a anti-gravity chair, or zero gravity chair is a type of chair that’s designed to relieve pain in your back. It helps reduce the pressures and tensions you get from your daily activities, especially if you’re working at an office desk all day without any exercise or stretching. These types of chairs positions your body to feel weightless, stress-free and energized. There are so many health benefits from using a gravity chair. Although these chairs have comfortable features such as massaging your feet and arms, they also help relieve a lot of stress your body puts on throughout the day. Before looking for the best zero gravity chair, you’ll have to consider some of the features that we’ll be going over in a minute. However, these chairs can differ depending on your preferences. There are tons of anti-gravity reclining chairs; there will be some with massage capabilities, while others will be can be foldable and stored away. In any case, we’ve already filtered through some of the best selling and highly rated zero gravity chairs on the market so you won’t have to spend hours researching. Does your chair have a way to recline? If it doesn’t, then its not a gravity-free chair. Whether its for an office, indoor or outdoor lounging chair, it should recline where your feet is leveled with your heart. This is the most important part to have the gravity-free comfort experience. An added bonus is that the chair can adjust in multiple positions from sitting up to its full recline position. How easy and secure is the locking system? There are some gravity-free chairs that have a lever that can easily get you from a sitting position to the zero gravity experience. Or with the full body massage recliner, you use a remote control to adjust your position. If you’re looking for a foldable zero gravity chair, make sure that the locking mechanism can be secured and easy to use. The construction material is important because you don’t want to be stuck with a broken chair that can’t recline, or stabilize itself. At the same time, you’ll want to check what material the seat is made of because some can attract heat in direct sunlight, while others allow air flow. Some zero gravity chairs can be folded up so you can take it anywhere. You should decide whether you need an indoor anti-gravity chair or an outdoor patio chair, perhaps you both! Most outdoor patio chairs are foldable for easy transfers. Does the chair have a cushion? Can the cushion be taken off and washed? Does the reclining chair have a headrest? These are some of the questions that you should be asking yourself. If there’s no cushion, the chair can’t be comfortable for long term use, also, if there’s no headrest, then the chair won’t be ergonomic, and can eventually hurt your neck. Therefore, it’s always important for you to check this feature on your chair. Check for a warranty on the chairs. See if there are any added features, like does it massage your body? Can your reclining chair add an extra cup holder tray? What is a zero gravity chair and what does it do? What are some of the main benefits of a zero gravity chair? Like mentioned previously, one great benefit of the anti-gravity chair is to help you relieve stress. But you may wonder how does it help you relieve stress? Well, the answer lies in the way the chair positions your body. It makes your feet become elevated above your heart, causing a natural flow of blood to flow back to your heart. Are zero gravity chairs good for back pain? If you have back pain, then a zero gravity chair can definitely help relieve some of the pressure from it. These chairs are meant for issues like that. When you’re being elevated, the blood flows to your heart, and it makes you feel weightless, relaxing all the muscles in your body. If you don’t want to invest in an expensive anti-gravity chair, then there are other ways to relieve back pressure. 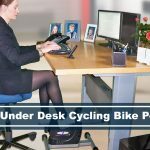 If you’re constantly at a desk sitting, then you may want to check out a standing desk converter, or perhaps look into investing the best ergonomic chair that money can buy to prevent back issues. Why are massage chairs zero gravity? When your body is at the anti-gravity position or “Trendelenburg position,” and your muscles are being massaged, meaning these two factors are working alongside each other. When your muscles are moving or being massaged, it helps the veins’ valves to open more easily than if you just simply recline, helping the blood flow. Anti-gravity reclining chair is a perfect solution for those that can’t take breaks or stretch within their daily routine. With this type of chair, you’ll be able to decompress and relax after a long stressful day of work. If you have an office that you use as a gym as well, this chair is a great addition to all your other workout equipment. You can’t go wrong with any of these reviewed chairs as they provide outstanding body support and relaxation. There’s no need to struggle anymore with uncomfortable seats. The zero-gravity seat recliner is definitely an excellent choice. How does sitting cause lower back pain? 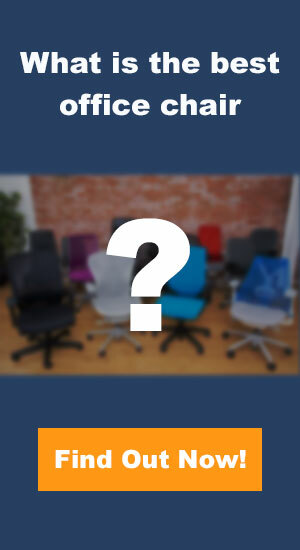 What are the best ergonomic chairs?